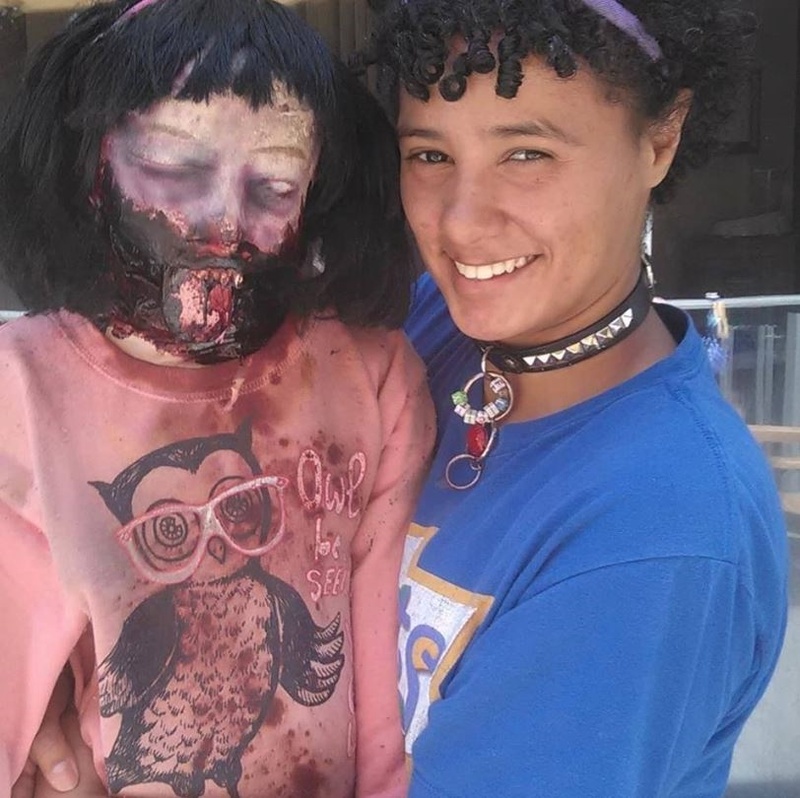 A TEENAGER says she has fallen in love with her zombie-doll called Kelly and plans to marry her later this year. Kelly, who was bought for Felicity Kadlec (19) when she was 13, was found on a "creepy doll collection website", the Daily Mirror is reporting. Her face is half rotten and covered in fake blood. But it wasn’t until she was 16 that Felicity realised that what she felt for Kelly was something special. Now she says she has accepted that Kelly is “the one” and is preparing for their future. "I have had boyfriends in the past, and I always thought that I was in love with them - but they never made me feel the way I do now. "Unfortunately a lot of people don't understand our relationship, but I am so confident that I'm in love with Kelly that I got her name tattooed on my arm. "I am intimate with Kelly - I caress her and feel safe with her, and I feel a genuine connection when I'm having an intimate moment with her," said Felicity. But not everyone is as enthusiastic about her passion for Kelly as Felicity is. She said: "I do even receive criticism from my friends and family - if we go out with them they won't let me bring Kelly with me. "If we go for food she always has to stay inside the car because people will stare at her, so we've never been able to have a date in public. "But regardless of what other people think about our relationship, she makes me happy and I love her so that's all that matters."